One-year-old Billie stood near the basket of acorn squash staring at the small, green fruit he had managed to prod out. He looked over at his mother, Narcissa Killough, who now used a hoe to dig up the last of the potatoes. She was a small woman compared to most of the others in Billie’s little world. Billie looked down and patted the deep green squash. Then he tried to pick it up. The distinct report of a rifle shot close by jolted him, and he fell down. Whether the result of the closeness of the gun shot or the falling or both, Billie started to cry. Through his tears, Billie saw his mother drop the hoe and run toward him. Before he could call her name a second time, she had him scooped up into her arms. Billie buried his head against his mother’s breasts. He knew he needed to try and stop crying. His mother had no patience when she was in a hurry. And she was stepping quickly across the broken field, jostling him as she ran for the trees at the edge of the field. The little bells sewn along the arms of his long shirt tinkled as she stumbled across the now barren crop rows. Billie heard more rifle shots. More shots than he had ever heard before. Papa had warned of raiders. And Mama brought her rifle with her the past several days when she and Billie went out to the fields. But this morning, Mama left her rifle because she was carrying several large baskets and Billie. “Cissa!” Billie heard Aunt Jane call. He raised his head and looked toward the large oak, hickory and maple trees at the edge of the field when his mother turned toward the voice. He tried to find Aunt Jane. “Over here,” she called, and he was able to see her as she poked her head around a large oak. As Billie and his mother crossed beyond the first of the trees, more staccato rifle shots echoed. Billie started to cry. Before Mama could calm him, Uncle Kais took Billie from her. Uncle Kais covered Billie’s mouth and shushed him. Billie struggled against his uncle’s hand. It smelled of dirt. Billie was scared by the continuing rifle shots and he was scared by the look on Uncle Kais’ face. He was too afraid to cry. “I can carry him,” Mama said, holding out her hands to take Billie back. Although Mama was a small, thin woman, especially when seen standing next to Aunt Jane, she was very strong. She had piercing blue eyes and soft brown hair. His Aunt Jane, wife of Uncle Nat, was taller and much larger; she had brown eyes and darker hair than his mother. As Billie settled on his Mama’s hip, she whispered, “You need to be quiet.” Billie wondered if she was talking to him or to Aunt Jane. Her eyes were fixed on his. She did not blink, even when more rifle shots were heard. “We need to move further into the trees,” she told the others. Sporadic gunfire continued to punctuate the cold afternoon. Billie, Mama, Aunt Jane, and Uncle Kais remained hidden in the tall grass near a creek about a quarter mile from the edge of the cleared field. A stand of maple trees hid the weak sun. The moldy smell of leaves rotting tickled his nose. Billie was feeling hungry, but whenever he started to fuss, Mama fixed her eyes on him. He could feel her fear. He was afraid to cry. He tried to sit quietly. As the sun fell toward the horizon, Billie awoke from a fitful sleep. Uncle Kais was gone. Mama and Aunt Jane were talking. “We should go to Isaac and Vercey’s,” Aunt Jane said. “I don’t know,” Aunt Jane said, sounding like she was ready to cry. Mama struggled to her feet. Billie bounced on her hip as she headed back toward the field. The bells on his shirt tinkled softly. Aunt Jane ran behind them. Billie smelled wood smoke in the air, more than he was used to. And when the three were closer to his grandfather’s home, he could see the new barn smoldering. The house, however, was not burning. As they came around the house, they saw Gramma Vercey kneeling over the body of Grampa Isaac. Gramma Vercey jerked around to face the three of them as they scuffled toward her. She had Isaac’s rifle in her hands, but she lowered it even as the trio stumbled to a stop. Aunt Jane began to wail. Gramma Vercey said Aunt Jane was excitable. Mama said Aunt Jane was prone to hysterics. Billie was pretty sure both of them meant Aunt Jane cried about everything. Even in the darkness, Billie could see the blood soaking his Grampa Isaac’s shirt and pants and even the ground around him. He looked at his mother. Her eyes were staring at Grampa and her jaw was tight. Billie felt her squeezing him as she continued to stare at Grampa. Billie tried to push himself away from Mama’s shoulder. Grampa looked like a huge mound lying on the ground. Billie remembered how small he felt in his big hands. “Do you think we can move him?” Mama asked. “We have to try,” Gramma said. Mama set Billie down. “Don’t move,” she warned him, as she crossed over to Grampa Isaac’s body, reaching down to grab one of his arms. Gramma Vercey took the other arm. To Billie, the two of them looked very small standing there. Aunt Jane took a moment before she stepped toward the body. She seemed to be thinking about what she needed to do. Billie took several more breaths before she reached down and picked up Grampa’s feet. The three women tried to drag the body toward the house, but Mama was not able to lift Isaac’s shoulder off the ground. And Gramma Vercey didn’t do much better. Aunt Jane tried to use her weight to pull the body toward her, but even she was unable to move him more than an inch. “We’re not going to get him moved like this,” Aunt Jane said with a sob. Gramma Vercey went into the house, and Mama and Aunt Jane went across the yard toward the smoldering barn. There was a pile of wood cut for fencing that had not caught fire. With effort, they were able to drag four rails over to Grampa Isaac’s body. As they got the last piece of wood moved over, Gramma came out of the house with two thick quilts. It took several more minutes to cover the body and weigh the quilts down with the rails. “We need to eat, and then we need to get out of here,” Gramma said. “Shouldn’t we wait for Nat and Samuel?” Aunt Jane asked. “I don’t understand,” Mama said. Billie’s nose wrinkled at a metallic smell coming from the blood on Gramma Vercey’s dress. She did not even notice as he pulled away from her. He knew she wanted him to stay in the corner and out of the way. His mother told him to do that, too. Billie watched as Gramma Vercey gathered flour and sugar and other items. Gramma quickly chopped up some potatoes and dried meat and tossed them into a skillet with some fat. The she put some items into a large basket. Billie drank some of his water, spilling much of it down his shirt. He nibbled on the biscuit. It was hard. But as it got damp, it felt good against his gums. And he quietly worked on the biscuit, as it became a doughy mess. Billie could smell the frying potatoes and deer meat. 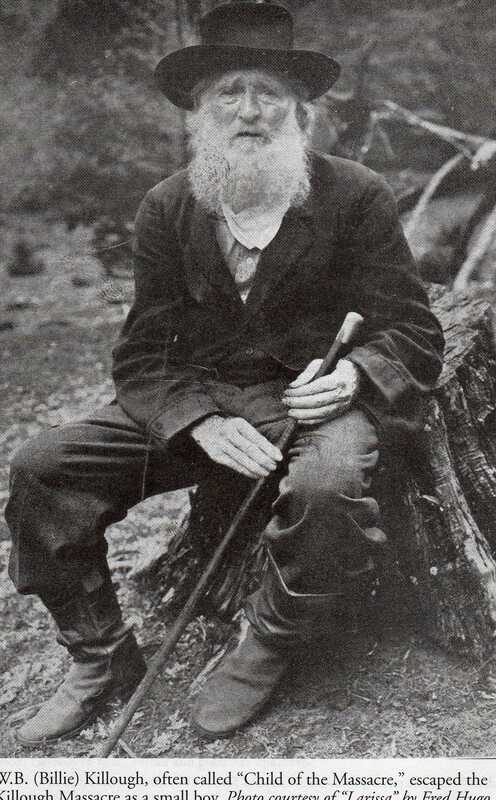 Billie remembered his papa saying that as long as the Indians were willing to trade dried deer meat for potatoes and cloth, he was willing to let them live on the edge of their land. Sometimes Billie could see Running Dog and his boy, James Yellow Tail when he and Mama went out to the fields. Sometimes Running Dog came out of the trees to talk to Mama. James Yellow Tail, who went to school with some of Billie’s older cousins, did most of the talking. After she put some biscuits into the oven, Gramma Vercey came over and checked on him. “You’ve been a very good boy,” she laughed. “But what a mess.” She picked up the cup and refilled it with a little more water, and then she wiped the goo of a biscuit from his tiny hands before handing him another one. “Catch your breath,” Gramma Vercey told her. “I got some meat and potatoes frying. Did you see anyone else? Gramma Vercey stopped stirring the meat and potatoes for a moment; then she sighed. “There’s a lot of smoke coming from Allen’s place,” Aunt Jane added, her breathing more under control. “Shouldn’t we wait until morning?” Aunt Jane asked. “Money,” Gramma Vercey spat. “He’d do whatever Cordova or anyone else wanted if he got paid enough. “I thought you said the men were Indians,” Mama said. “They were,” Aunt Jane replied. “So what are we going to do?” Aunt Jane asked. Gramma jabbed a potato with her fork and then stared at the other two women. She ate. They ate. The conversation was over. Just as they crossed the last of Isaac’s fields, Uncle Kais’ young collie, Glory, started following them. It barked and barked. Gramma Vercey threw dirt clods at it. But the dog would not leave them alone. It would not stop barking. “Doggie,” Billie said, pointing at the dog. Billie wanted to tell the dog to stop barking. He could see Gramma Vercey was upset by all the noise. “Doggie,” Billie said again. “That’s Kais’ dog,” Aunt Jane said. “Fool thing won’t shut up,” Gramma said. “Maybe if we gave it something to eat?” Aunt Jane asked. The collie stayed just beyond Gramma Vercey’s dirt clod range, but it continued to follow them and to bark. “Fool thing,” muttered Gramma Vercey. Although travel in the dim moon light was difficult, and being followed by a barking dog annoying, Billie, Mama, Gramma Vercey and Aunt Jane made the river without seeing anyone. They ate cold biscuits and drank sips of water from the river before finding some tall grass among a thick stand of hickory to settle down in for the day. Mama leaned up against a tree, and Billie crawled into her lap and fell asleep. Billie looked in the direction of Aunt Jane’s gaze. There was an Indian who looked to be about the same size as Running Dog. But he was older. And he had no young boy with him. The Indian was tall and slim. He came closer. Although he was armed with a rifle, the Indian held it down at his side. He was dressed in buckskin, but he wore no paint. “Lord help us,” Aunt Jane implored, raising her eyes to the sky. “We no fight,” the Indian told them. Aunt Jane continued to wail despite Gramma Vercey’s efforts to get her to calm down. “We give you food,” the Indian continued. “I think he’s trying to help,” Mama said. The Indian beckoned them to follow. Mama set Billie down, struggled to her feet, and then hoisted him on her hip. Gramma Vercey joined her, and the two of them started after the Indian. Jane followed a moment later, gathering the halter line for Maggie as she trailed behind the rest of the group. Gramma Vercey moved up to walk alongside their guide. Billie, his mother and Aunt Jane remained somewhat behind with the horse and supplies. Gramma Vercey and the Indian were talking, but Billie could not hear what they said. The women followed the Indian along a path at the edge of the river for several miles. They were surprised to see a large camp as they came around a bend in the river. The trees thinned out, and the afternoon sun warmed a large open field where perhaps a hundred Indians were settled. When they got to the camp, their guide got them settled and gave them something to drink. Then he and Gramma Vercey went away. Billie watched her go. He tried to break away from Mama and follow. But Mama held him firmly, despite his squirming. He started to cry, “G-ma!” G-ma.” But he soon fell asleep. The next morning, Billie rode with Mama on a large piebald horse. Gramma Vercey and Aunt Jane had their own horses. Both of their horses were roans. Maggie was left behind. What few supplies they carried were packed on Gramma Vercey’s horse. Gramma hopped down from her horse and came back to Billie and Mama. She held her arms out for Billie, taking him so Mama could get down. They ate some smoked meat the Indians had given them and drank water. Billie picked flowers and crushed their petals in his tiny fists. Billie was sleepy. But even as Mama tried to settle him in front of her after she had returned to her horse, he could not fall asleep. He was too tired to fuss. It was twilight when they neared Fort Lacy. a single rifle shot stopped them short. “We are women from Saline,” Gramma Vercey called out. “Let them pass,” a different voice called out of the darkness near the large structure in front of them. Against the pale blue sky, the fort was the biggest thing Billie had ever seen. When they entered the compound, a short, portly, well-dressed man came forward. “General Thomas Rusk, at your service.” Billie smiled at the high, nasally sound of the man’s voice. “You come from the Indian raid?” Rusk asked Billie’s grandmother after helping off her horse. “There are some Deavers and Williams. They said they saw Indians,” Rusk said. “Beulah,” Gramma Vercey replied. “I’m glad to see some others are safe. “We best get him settled,” Gramma Vercey said. “They’ve made room for us over there,” Beulah said, leading them off to a small room with a bed in it. Mama started to clean Billie up. Aunt Jane went off to see about something to eat. And Gramma Vercey left with Beulah Deavers and Orlena. The next day, about noon, Billie, Mama and Gramma Vercey watched as General Rusk led about a hundred men out of the fort. General Rusk impressed Billie. He wore a dark uniform with gold stripes and braiding. He looked very different in the uniform than he did the night before. Anxious for news, Mama and Gramma Vercey stayed near the front of the fort where they could question the few stragglers who made it down from Saline. Aunt Martha and her daughters, Rose and Meg, came just after the General and his men left. Gramma Vercey asked them many questions, but Billie was more interested in some small pebbles he found near a trough. He picked up first one small rock and then another and happily tossed them into the water. Billie looked at Mama as he tossed the pebbles into the water. She smiled at him. But Billie could tell she was only paying half-attention. She had that unfocused look in her eyes. When Sadie Williams arrived at the fort that evening, Gramma Vercey questioned her, too. General Rusk returned five days later. He came into the small room where Billie, Mama and Gramma were staying. His uniform was dirty and stained. The smell of his perspiration tickled Billie’s nose. Gramma Vercey didn’t seem to notice. “Go get Jane. I can watch Billie,” she told Mama. Mama nodded. Billie cried, “Mama, Mama,” when she left the room. “She’ll be right back,” Gramma Vercey said. She picked Billie up and bounced him on her knee. The General stood quietly at the doorway. “No, ma’am,” Rusk said. “But thank you kindly. I won’t stay but a minute after I tell you what I know about your family. Gramma nodded at the General. She smiled a weary smile at Billie. Silence ensued for several moments until Mama returned with Aunt Jane, all out of breath, right behind her. Billie reached for Mama when she came back into the room, and Gramma let him go. Billie saw Gramma Vercey crying. He started to cry, too. Mama cupped his head and brought it up to rest on her shoulder. She didn’t cry. But her cheeks were wet with tears. A few days later, Billie, Mama and Gramma Vercey were getting ready to travel to Alabama. Aunt Jane was planning on returning to Saline to join Uncle Nat. “You’ll tell Nat what I told you?” Gramma asked Aunt Jane. Aunt Jane and Mama both cried as they hugged good-bye. But Gramma Vercey’s eyes remained dry. Billie tugged on Mama’s skirt. She finally let go of Aunt Jane and picked him up. “It’s time to go to Alabama,” she told him. She wiped a tear from her cheek and tried to smile. “We’ll have a peaceful life in Alabama. 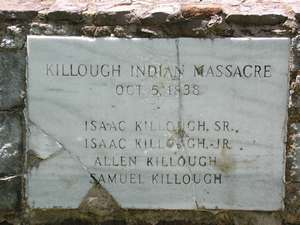 This is a fictionalized account of the Killough Massacre, October 5, 1838. 1William Boykin ‘Billie’ Killough was born to Samuel Killough and Narcissa Norris in Montersville, Talladega County, Alabama on September 26, 1837. He died October 5, 1918 in Larissa, Cherokee County, Texas, not far from where his father was killed. He was but a month old when his parents joined in the migration of the Killough clan to the Republic of Texas. Isaac Killough and his wife, Vercey, Billie’s grandparents, headed the troupe. Although originally given land grants in modern-day Erath and Comanche counties, for whatever reason, the family settled in East Texas, on land north and east of present-day Jacksonville. They paid for their land in gold. Four members of the extended family were killed in the massacre. Fourteen other members of the family were never heard from again. 3Isaac Killough, Sr. (b. 1772), and three sons: Isaac, Jr. (b. Abt 1801), Allen Killough (b. Abt. 1802), and Samuel (b. 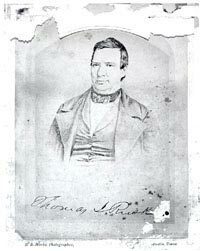 1815) were buried together in a common grave by Isaac Sr.’s son; Matthew Nathaniel Killough, along with members of General Rusk’s forces, buried the bodies. 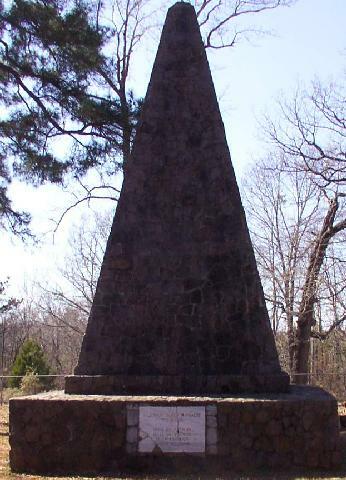 In 1934, the Works Progress Administration built a large obelisk over the graves. In 1965, The Texas Historical Commission erected a historical marker in the graveyard. 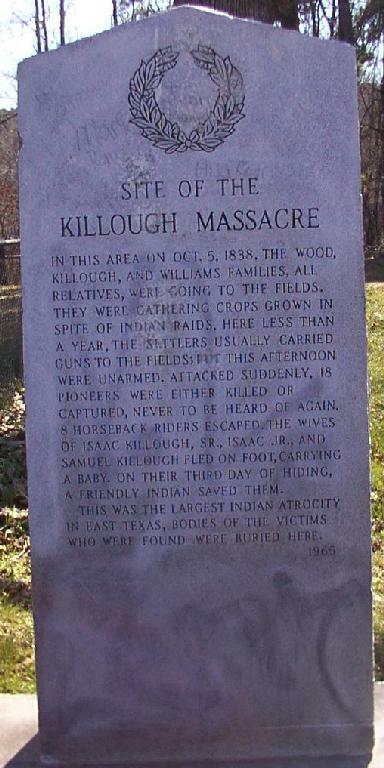 The marker indicated the attack on the Killough family was an Indian raid. Many researchers today state that the raid was fostered by former Nacogdoches alcalde Vincente Cordova.